Welcome back. Today we've been working on creating a quick and easily accessible page which allows you to download the newest version of JBC software. The software features increased performance, an enhanced user interface, and will reduce any errors. 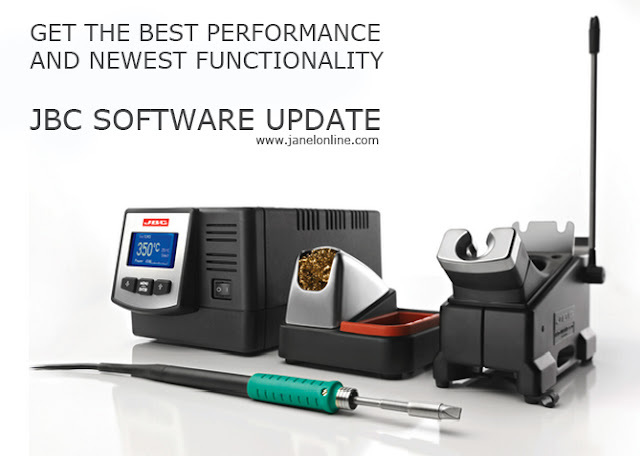 After you make the download, we promise you your soldering station will be in tip top shape. To download visit us on our site. NBC tools DoOES make the best soldering tools around. Thank you janel online for keeping me up to date all the time!